As mentioned, once you create a bootable Disc or USB Flash Drive, place the ERD Commander 2005 boot CD in an accessible drive, bypass the existing or inoperative operating system by booting from the CD, and the utility will create a miniature Windows XP environment. Though limited in scope, the interface enables troubleshooting a variety of Windows operating systems, including Windows NT 4.0 (Service Pack 4 or later required), Windows 2000, Windows XP and Windows Server 2003. 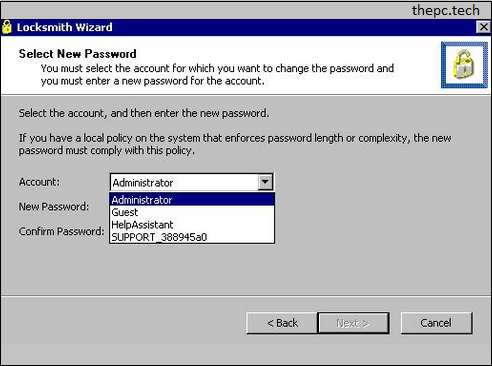 Administrative Tools – Autoruns, Disk Management, Event Log, Reg Edit, Service and Driver Manager and System Information. Networking Tools – File Sharing, Map Network Drive and TCP/IP Config. System Tools – Crash Analyzer, Disk Commander, Disk Wipe, File Restore, Hotfix Uninstall, Locksmith, System Compare, System File Repair and System Restore. Menu Tools – Console, Explorer, Internet Browser (Mozilla Firefox version 1.0), Notepad, Search, Solution Wizard, Help and Run (command line).